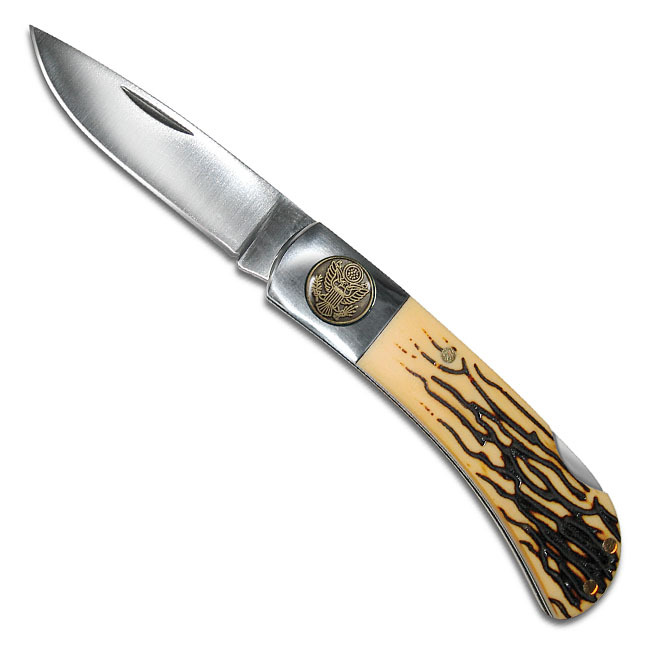 We are pleased to create and issue a new Vietnam War Service pocket knife, featuring a simulated bone handle design, popular shaped stainless steel blade and strong riveted case. 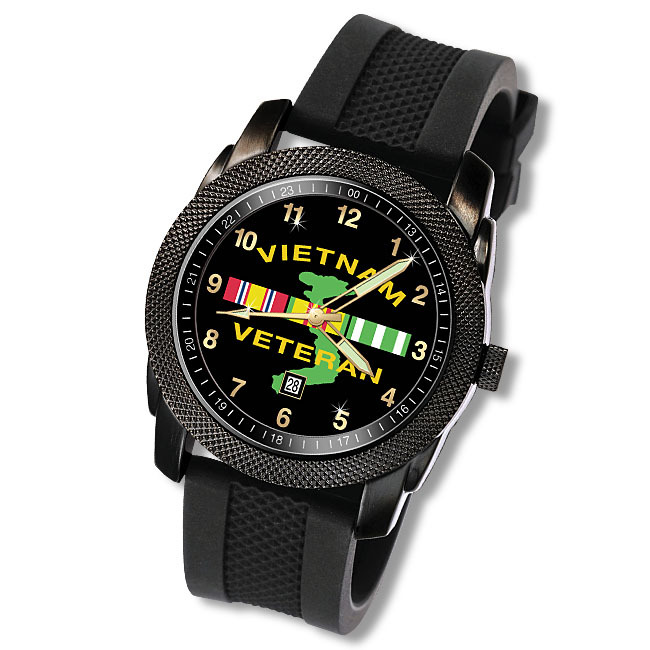 A Vietnam War Service Emblem is minted like a fine coin and set within the handle as a permanent reminder of your proud service. Your satisfaction is guaranteed or return within 30 days for replacement of refund. 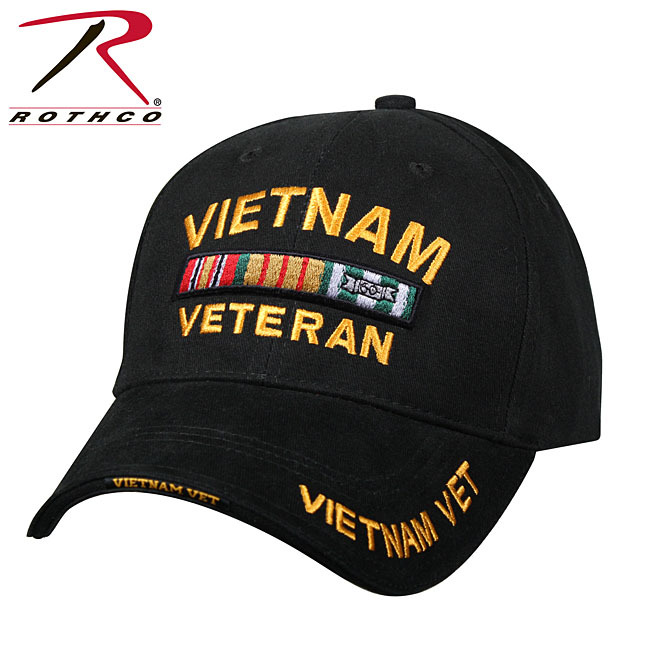 Order yours today and others as gifts for family, friends and fellow veterans. 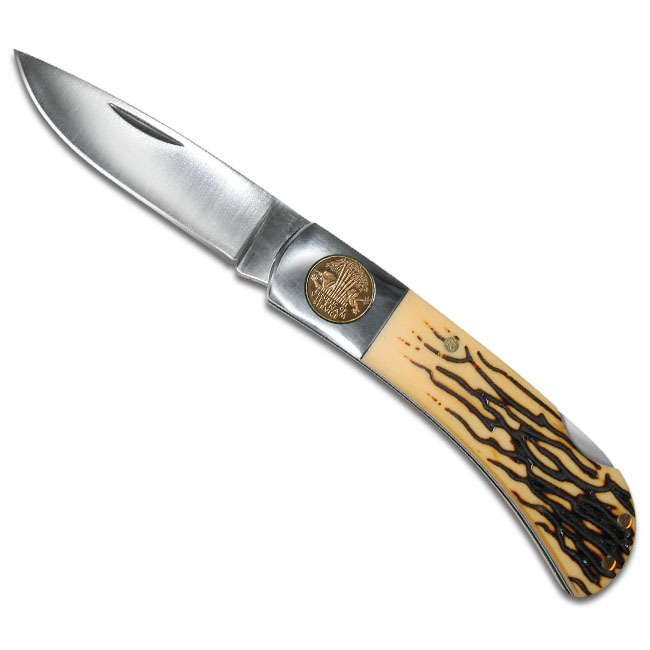 Popular case design with simulated "bone" handle and honed stainless steel blade. Size: 3-1/4" closed, 5-5/8" open.